Back when Valve unveiled the Steam Controller in September, it featured two clickable trackpads alongside a high-resolution touchscreen and a few other buttons. Originally the touchscreen was meant to give developers a way to add unique control options, such as scrolling menus or interactive maps, but it has been axed in the refreshed Controller design Valve detailed recently. We got a rough mockup of the redesigned Steam Controller at Valve's Dev Days conference in January, and now we're seeing what the final controller should look like. The two trackpads have stayed in their original position, now complemented by a set of directional buttons and a set of function buttons similar in design to those seen on the Xbox 360's controller. The center of the Steam Controller now features a stop, play and Steam button in place of the touchscreen. The redesign of the controller brings it more in line with traditional console controllers that we've been used to as part of the recent console generations. It also provides compatibility with some of the games available on Steam that already support Xbox 360 and other standard controllers, without developers needing to update their games. 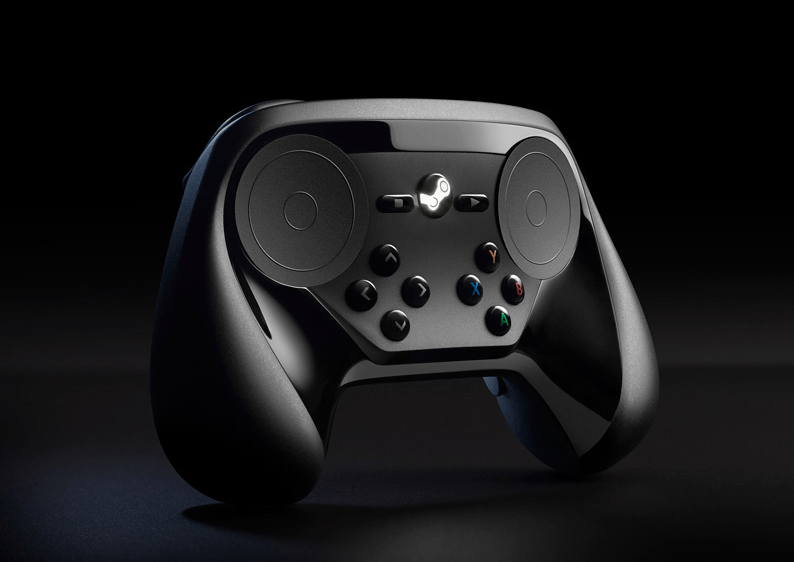 The Steam Controller will be a critical part of Valve's Steam Machine plans, with each Machine sold including a Controller out of the box. For those that already have a perfectly good gaming system, you'll be able to purchase a Steam Controller separately through several retailers, giving you another way to play games with PC-like accuracy. The original prototype of the Steam Controller can be seen below.